As a Board Certified Personal Injury Trial Lawyer, I have been helping individuals and businesses who have been harmed for over 21 years. As a trial lawyer, I help the injured fight for their right to receive fair and timely compensation for the negligence of others. I have experience battling insurance companies and large corporations, who have their own army of lawyers who know how to throw punches. You need a lawyer who knows how to take a punch and who keeps on fighting for your right. As a Christian, I understand and care about the pain and suffering of the injured and of those who have lost a loved one because of the negligence of others. After graduating from Texas A&M University in 1988, I passed all 4 parts of the CPA exam in my first attempt. When I started in Law School, I initially focused on Tax Law, however, my desire to make a difference in peoples lives, led me to specialize in Trial Law. 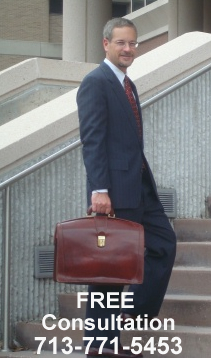 I started practicing with a law firm in 1992. After I won my very first case, I never looked back. Since then, I have handled cases for families who have had catastrophic injury inflicted on them from all types of accidents like auto collisions, 18 wheeler crashes, dangerous products, chemical exposure, nursing home abuse, crane collapse, dangerous and unsafe conditions on the property of others to name a few. I have been a member of the American Association for Justice since 1994. The Mission of the American Association for Justice is to support the work of attorneys in their efforts to ensure that any person who is injured by the misconduct or negligence of others can obtain justice in America’s courtrooms, even when taking on the most powerful interests. If you have suffered from injuries or lost a loved one because of negligence of others, or if your family has suffered from nursing home abuse, call me at 713-771-5453 for a FREE consultation. I promise to listen to you. I promise to work hard on your behalf. No case is too small or too large. I believe in faith and hard work. These are the tools I rely on to win for my clients.